In Autumn 2 our spiral topic at Sudbury was "Back in time". 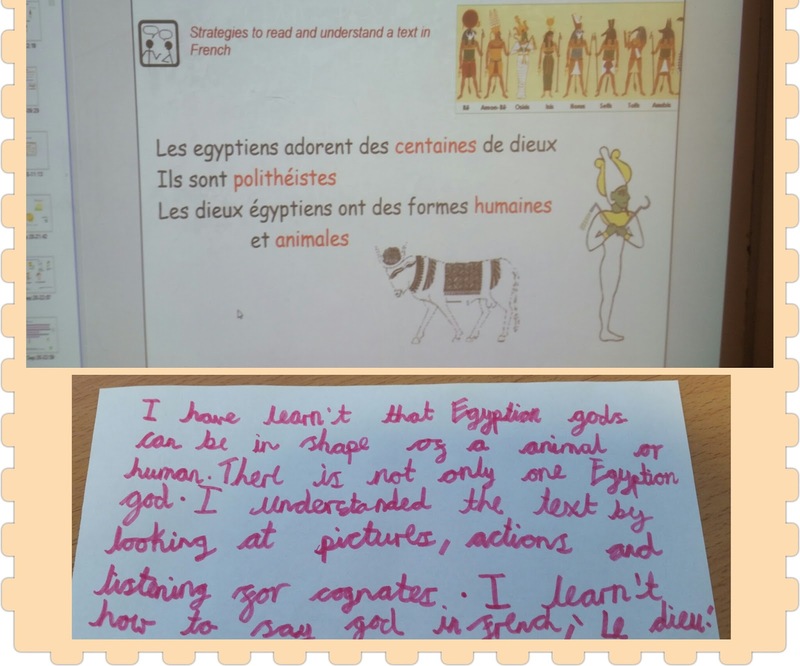 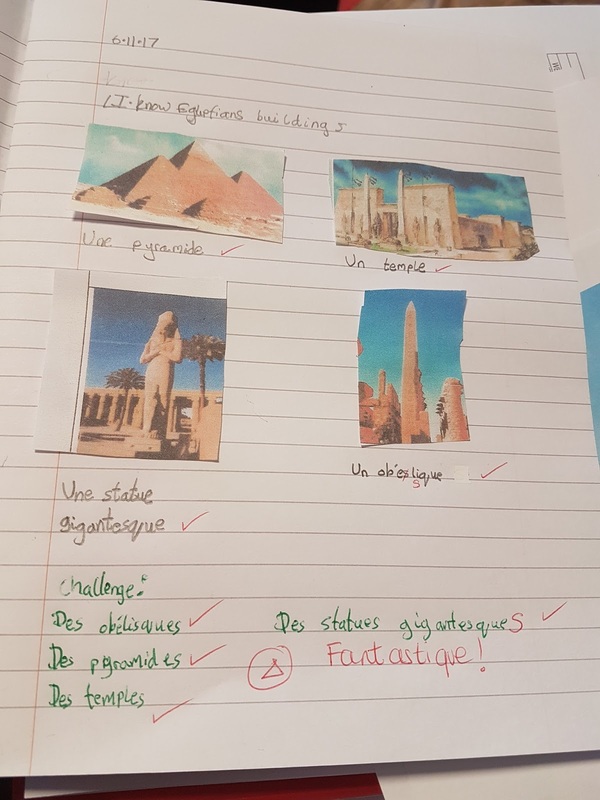 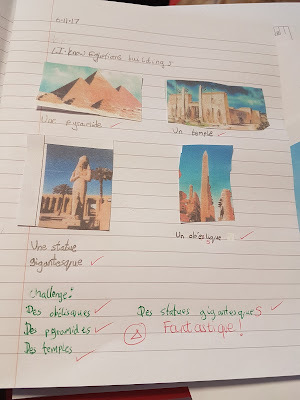 Year 3 learnt about Ancient Egypt in class and we learnt about it in our French lessons too. This year we learnt the names of some Egyptian Gods and also talked about hieroglyphs. 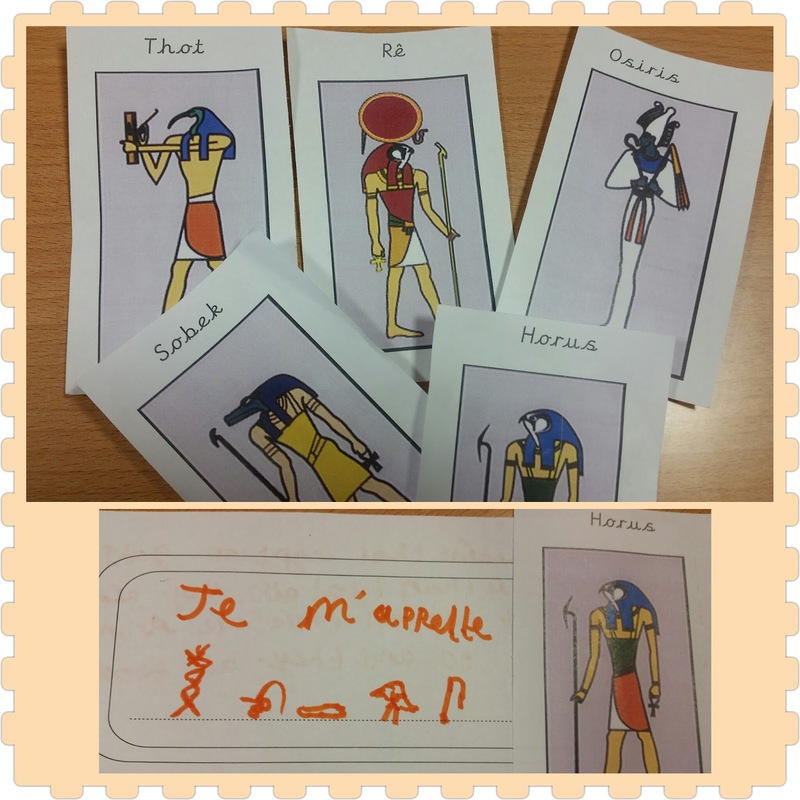 The children introduced an Egyptian God writing his name in hieroglyphs. 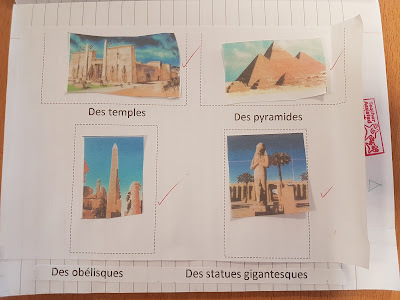 We also looked at the different types of buildings in Ancient Egypt and learn how to form the plural in French. 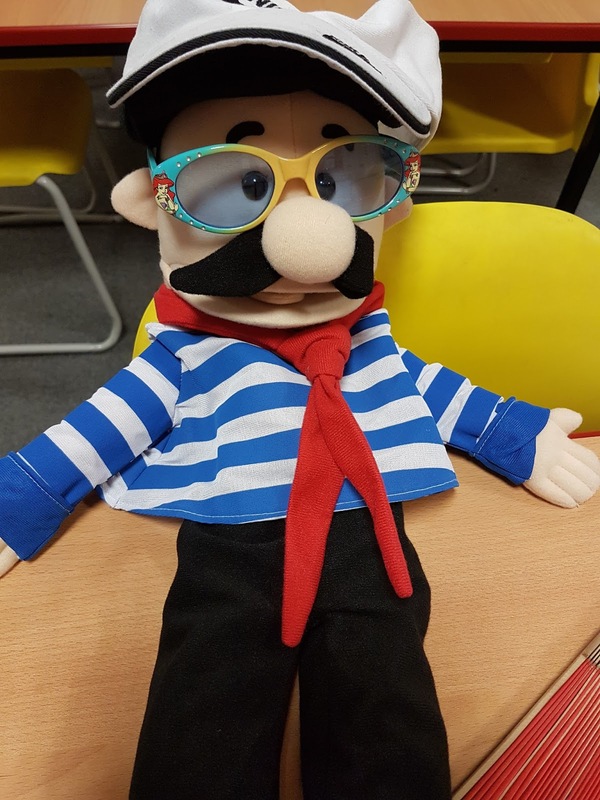 The Year 3 children were very brave to learn a history topic in French! 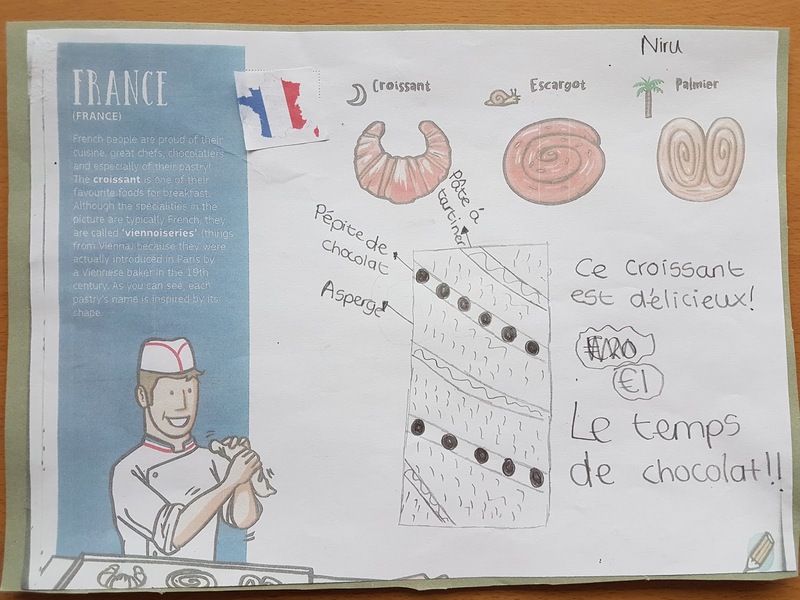 They are amazing at decoding the language and understanding the French language in context! 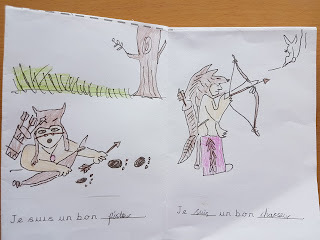 Year 1 have done different activities around the seasons in French. 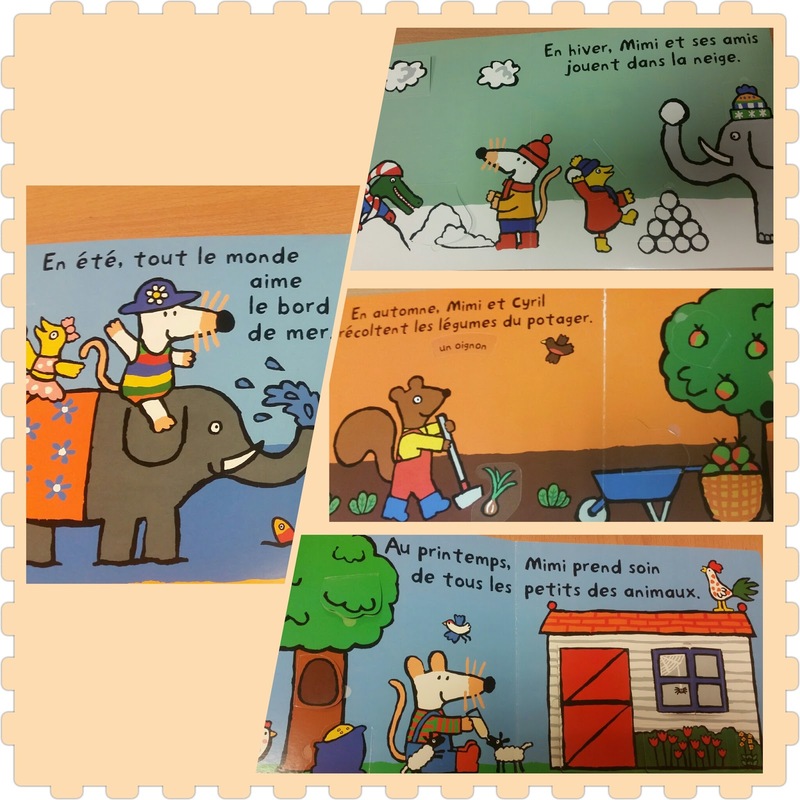 We learnt the names of the seasons by acting and singing Les saisons from the CD "J'aime chanter"
We read some beautiful lift-flap stories where the children had to guess what was the surprise under the tabs. 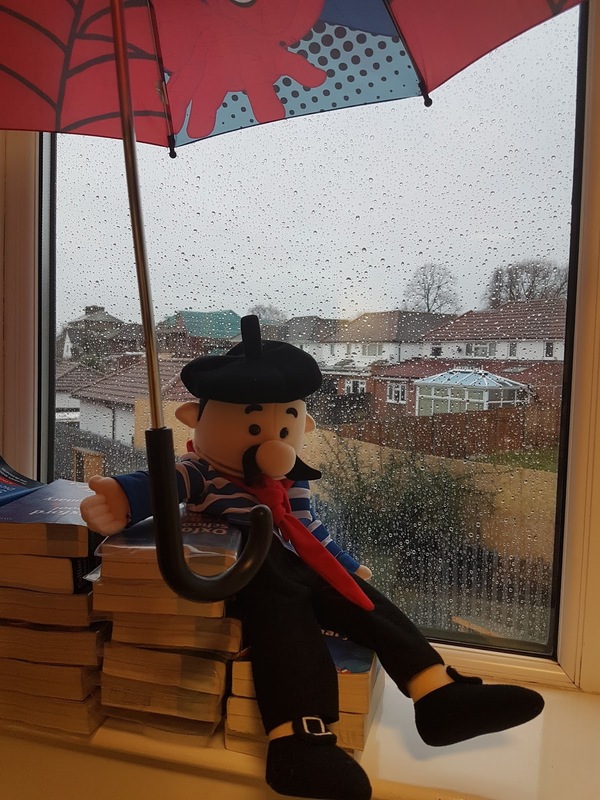 Our French buddy Toto also wanted to teach us the seasons, so he put on different clothes according to a season and asked us Quelle est la saison? 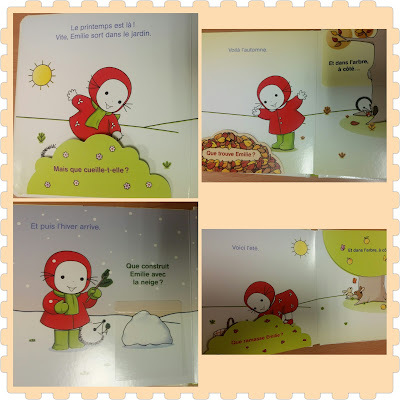 It was a lot of fun guessing the seasons with him! We have celebrated European Day of Languages at Sudbury again. It is important to celebrate this type of events to grow language awareness in your pupils. 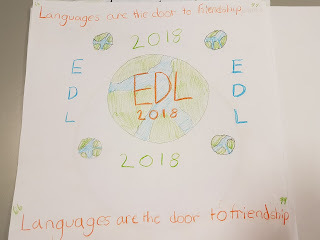 We, language teachers, have to take any opportunity to promote languages! 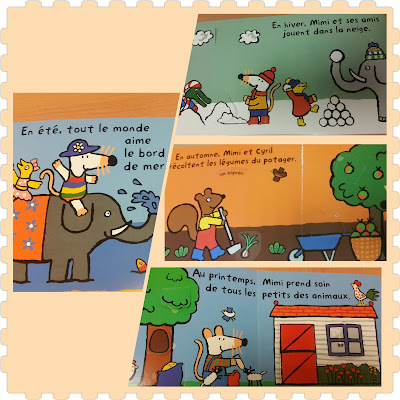 This year, we did some new projects. 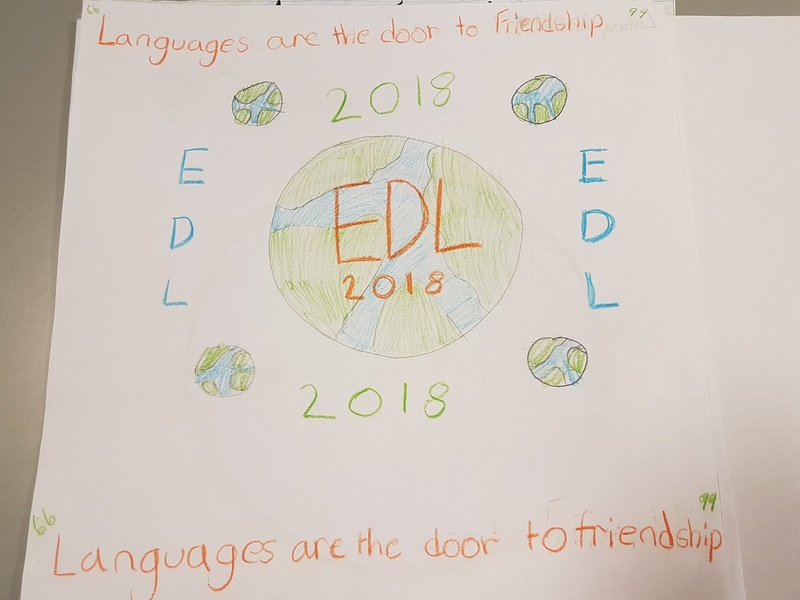 Year 6 have created their own designs to participate in the official EDL T-shirt contest, wish them good luck! 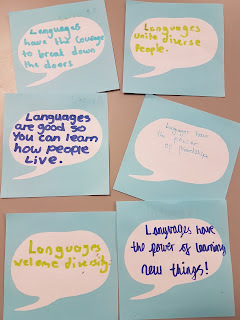 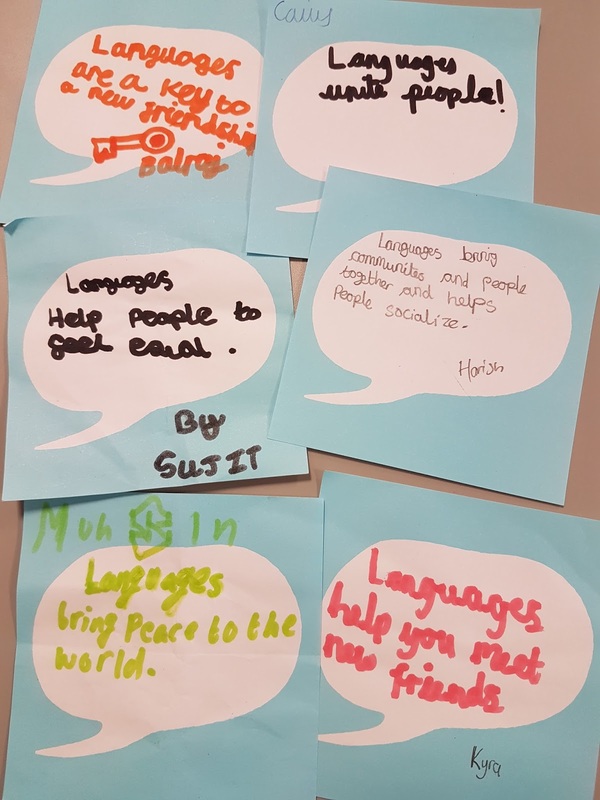 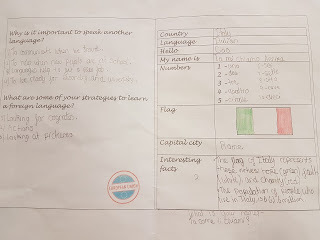 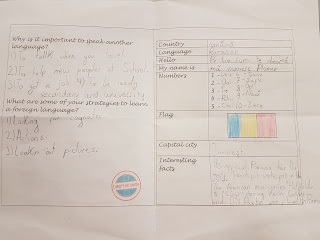 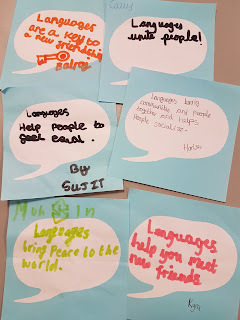 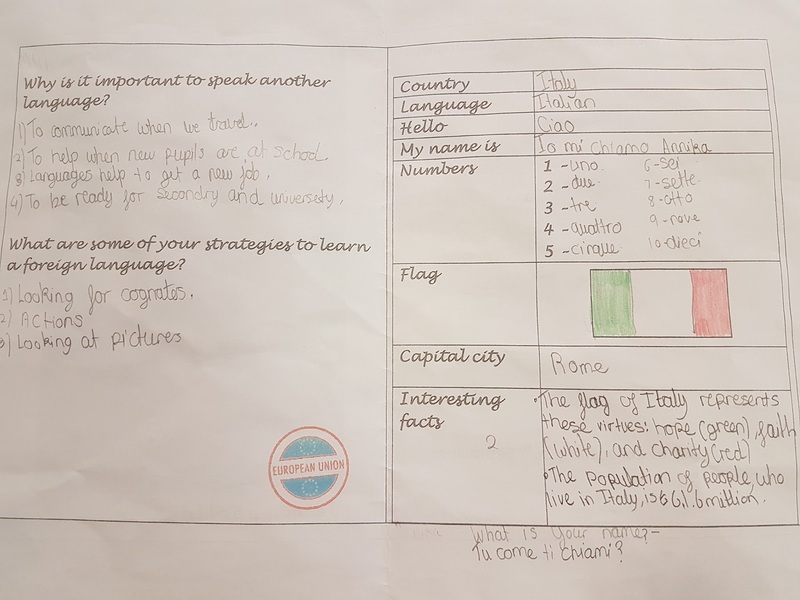 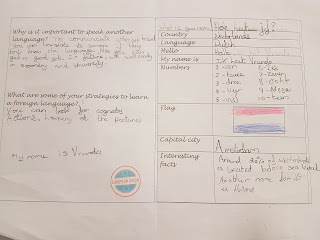 Year 5 have been discussing the importance of languages. 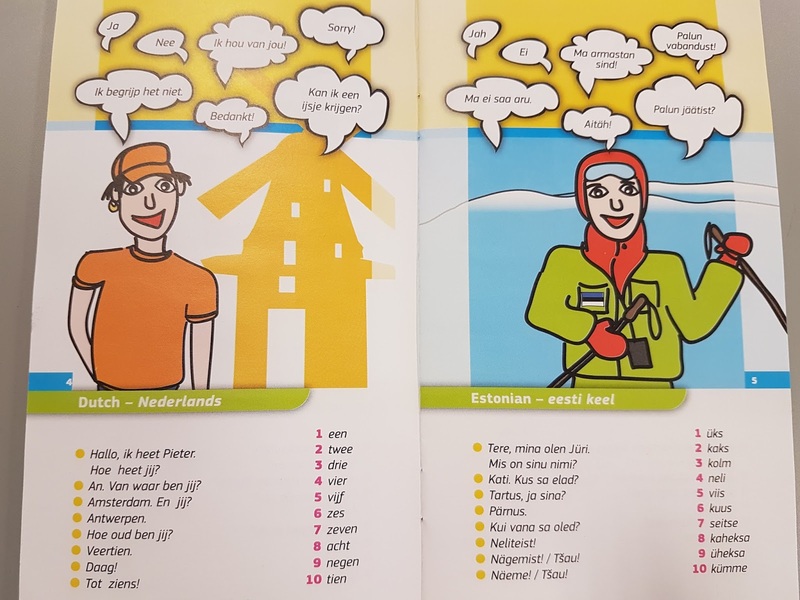 They used the leaflet "Languages take you further" to learn some basic greetings in the European language of their choice. 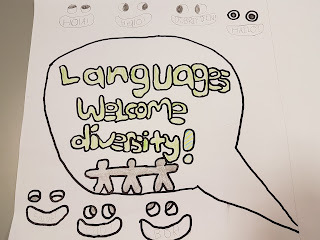 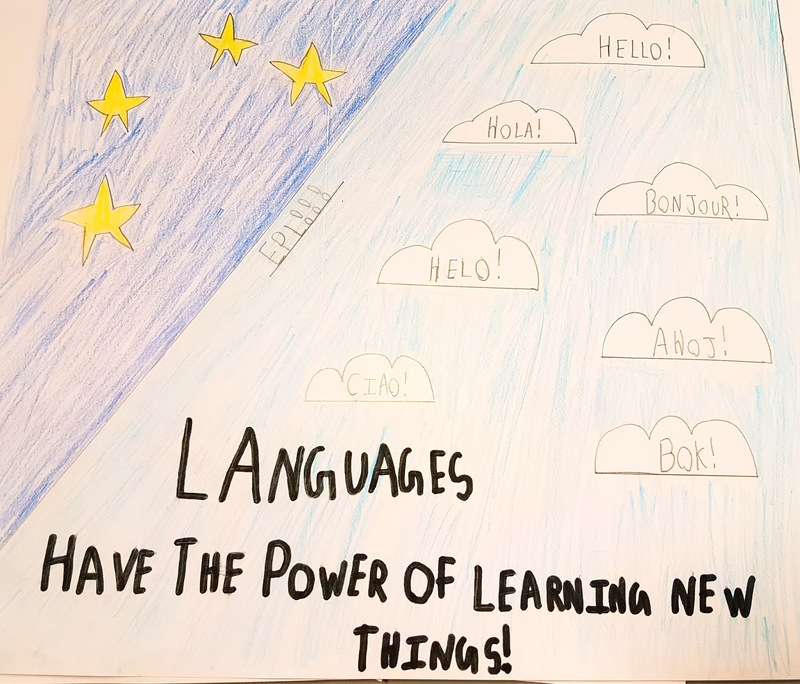 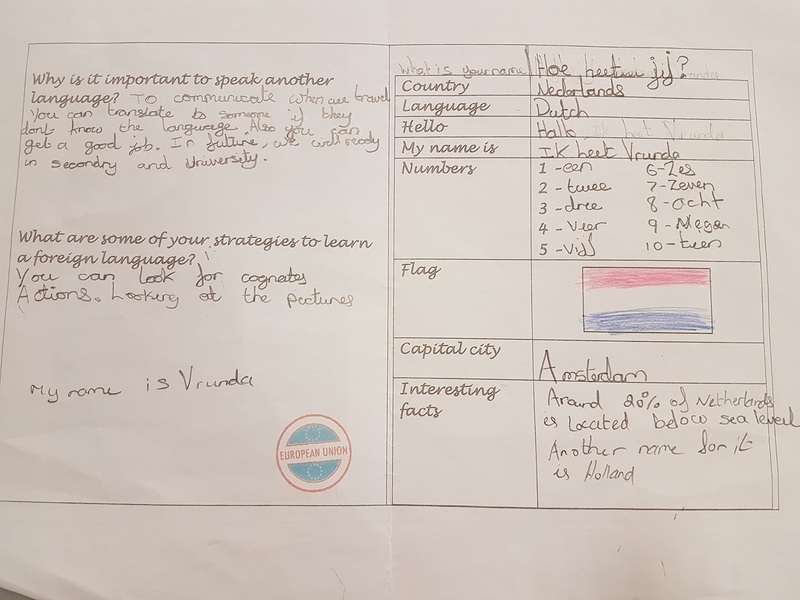 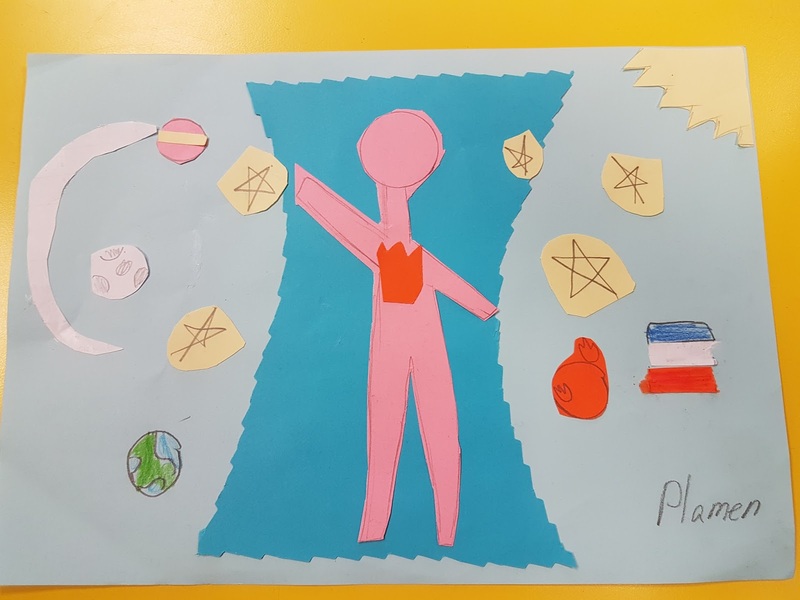 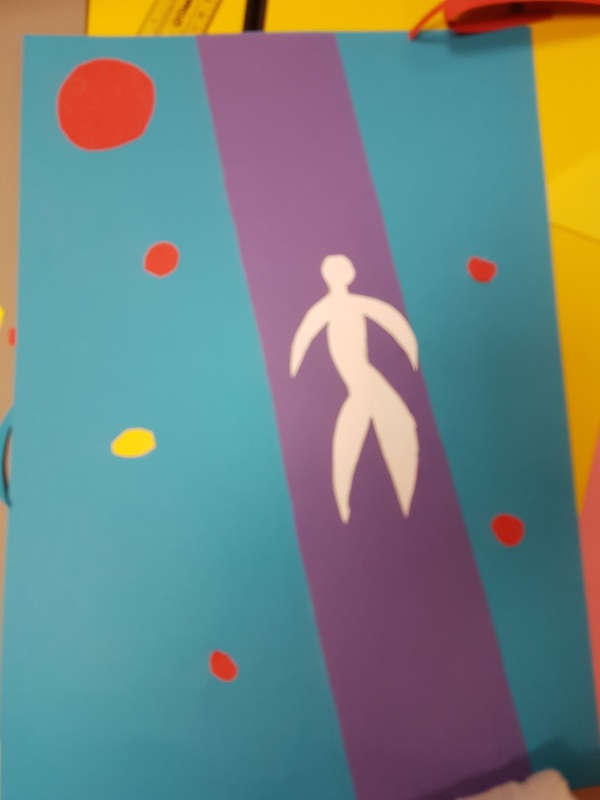 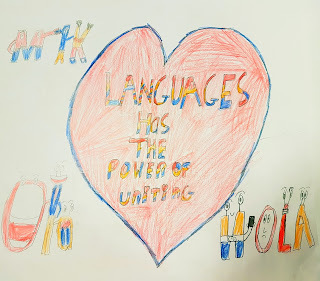 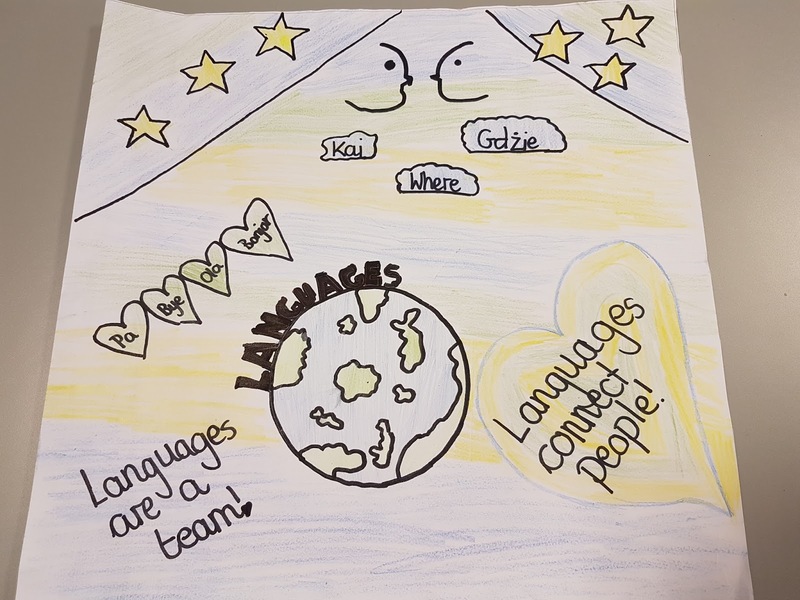 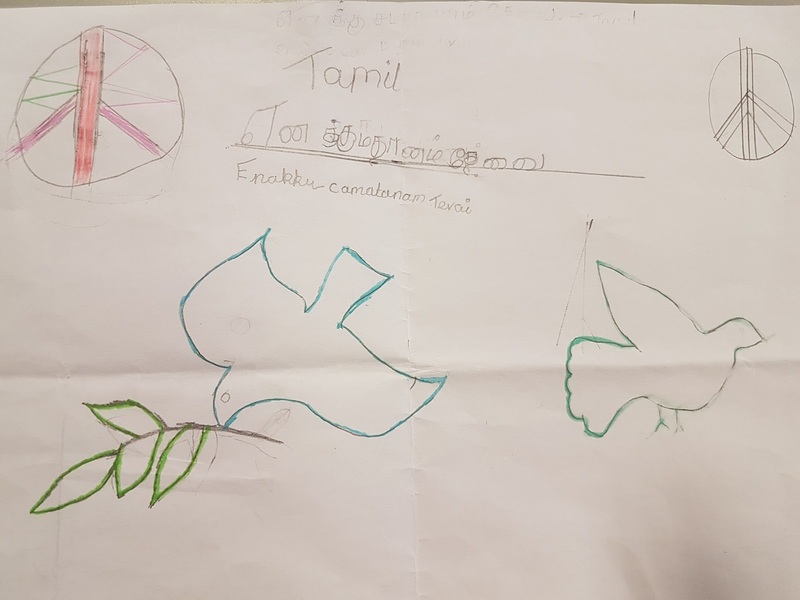 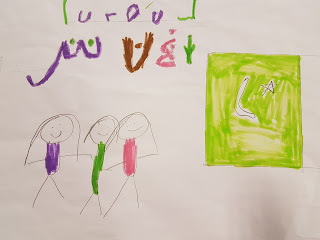 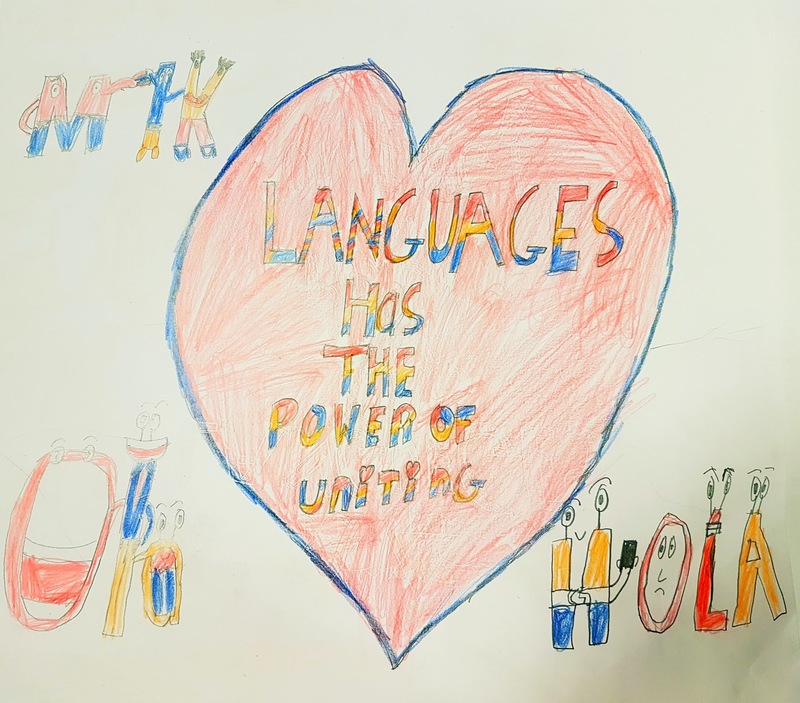 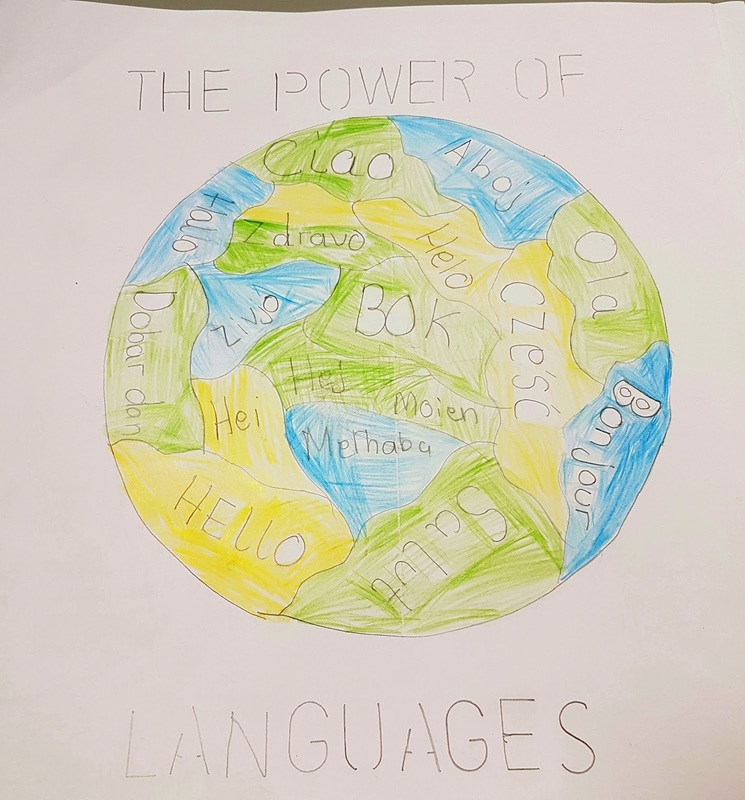 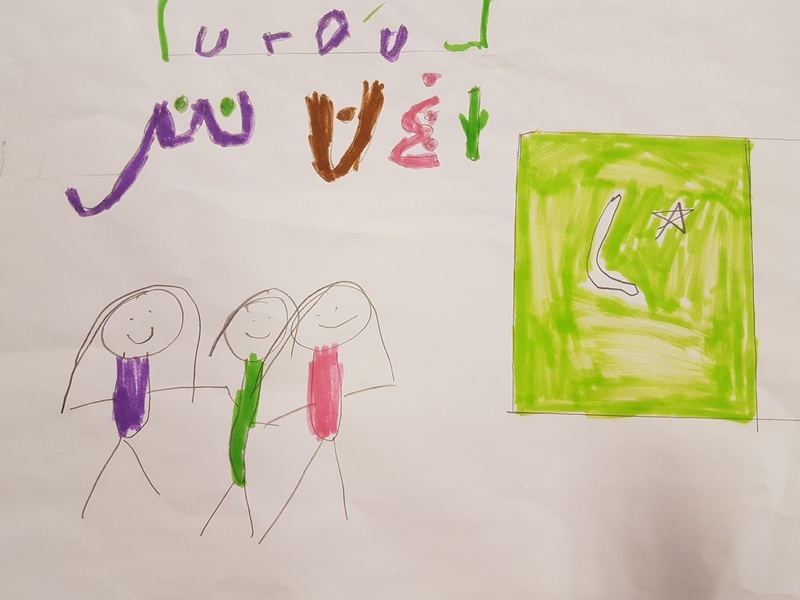 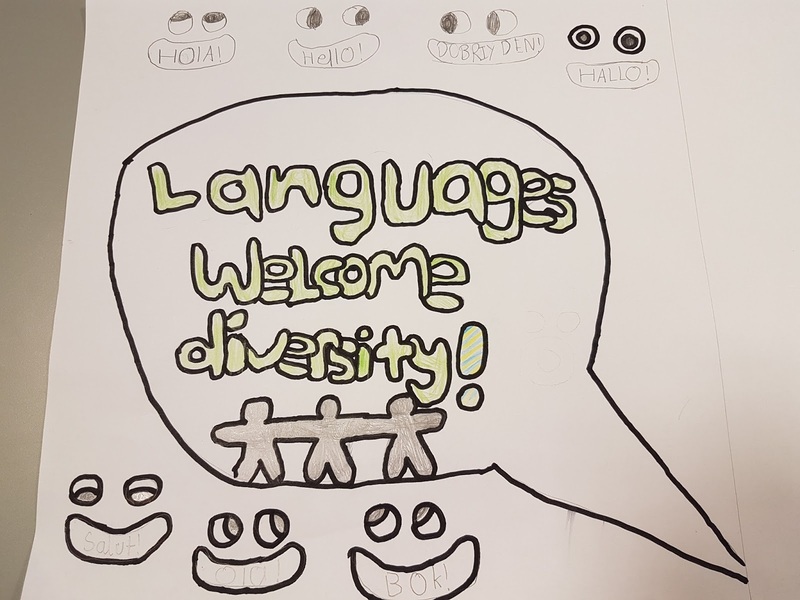 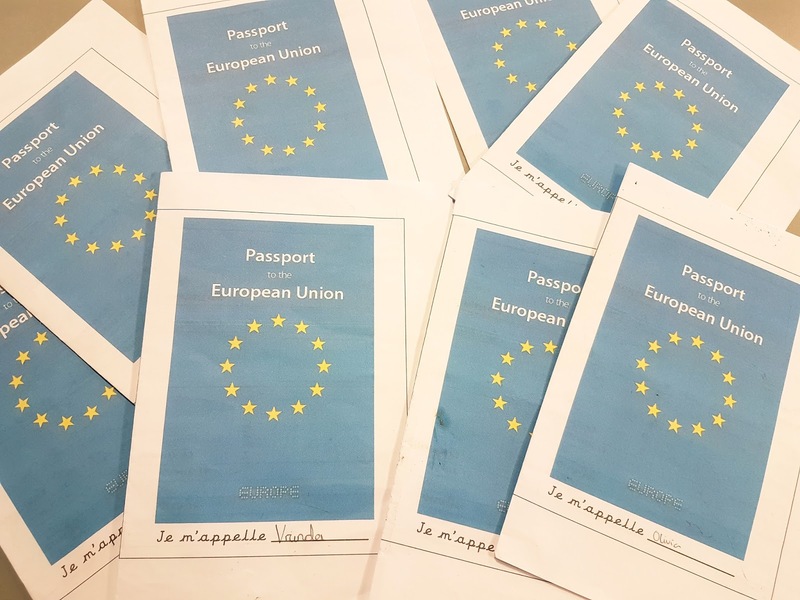 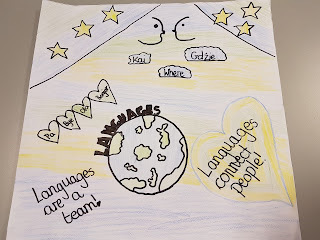 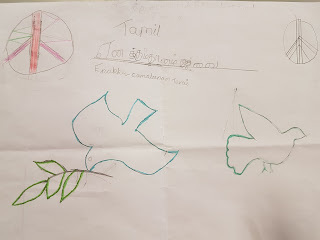 In Year 4, we have participated in an International E-Twinning project where the children from each school had to create a poster with the word peace in their native language. 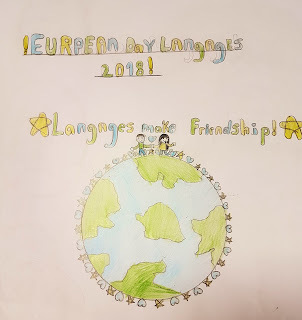 Then, we recorded our pupils and share the videos on the E-Twinning portal. 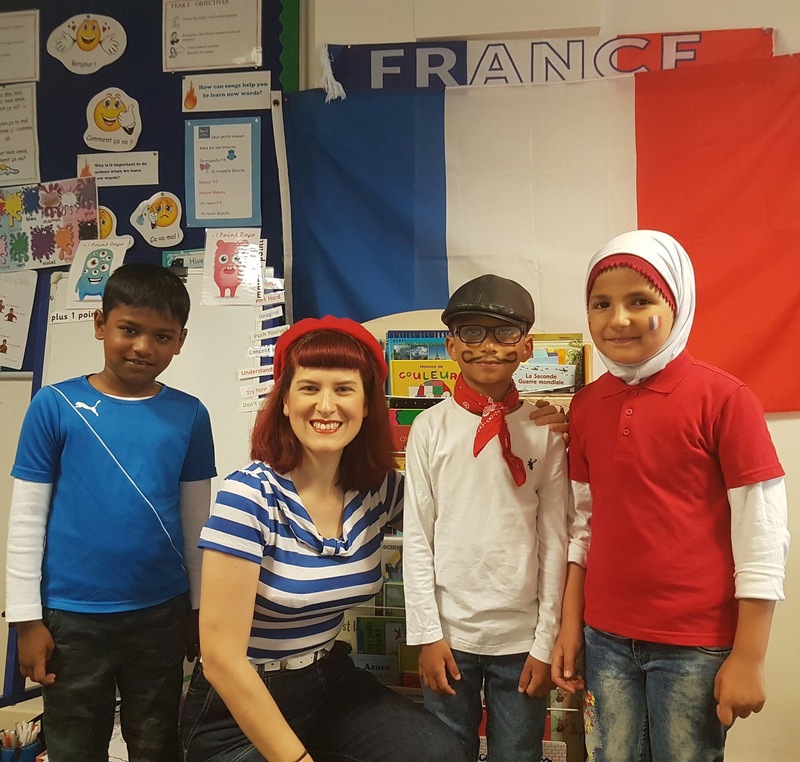 Last Wednesday we celebrated our second French Day at Sudbury. 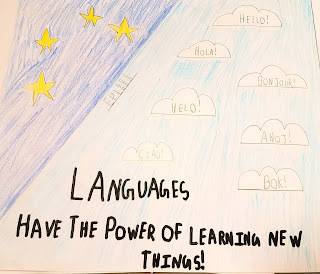 Language days are a great way of promoting the foreign language and culture. 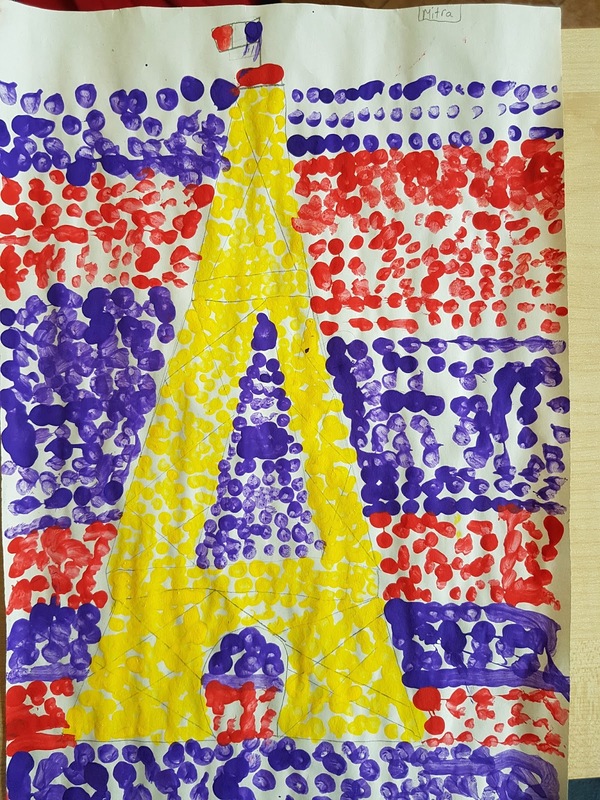 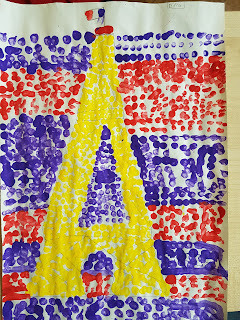 This year, Years 1 to 3 have created some artwork using the pointillism technique. 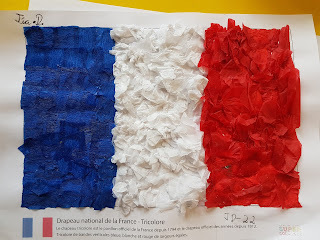 They learnt some facts about French history and the French flag and made these beautiful collages of la tricolore. 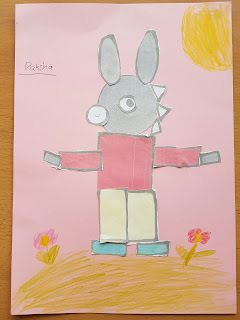 They also watched an episode of our favourite French cartoon with the donkey Trotro and they created their own Trotros 😊. 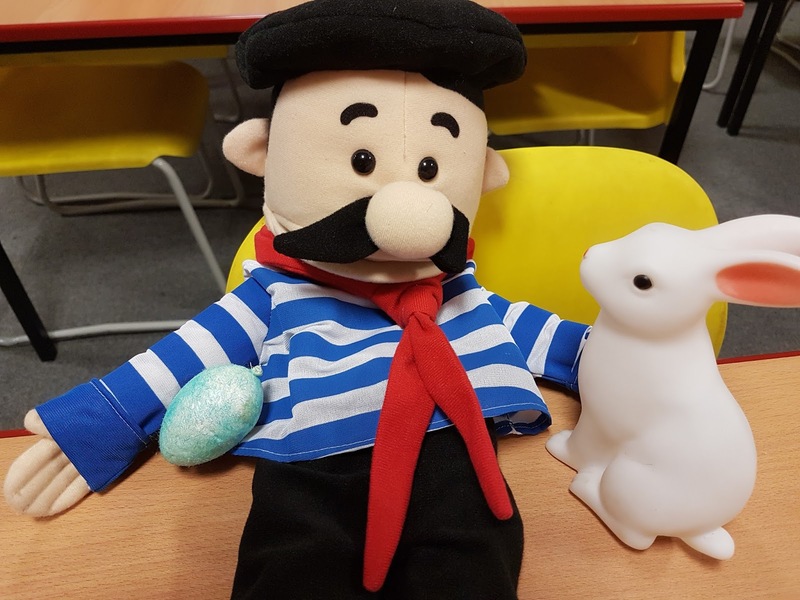 Finally, they enjoyed some storytelling in French! 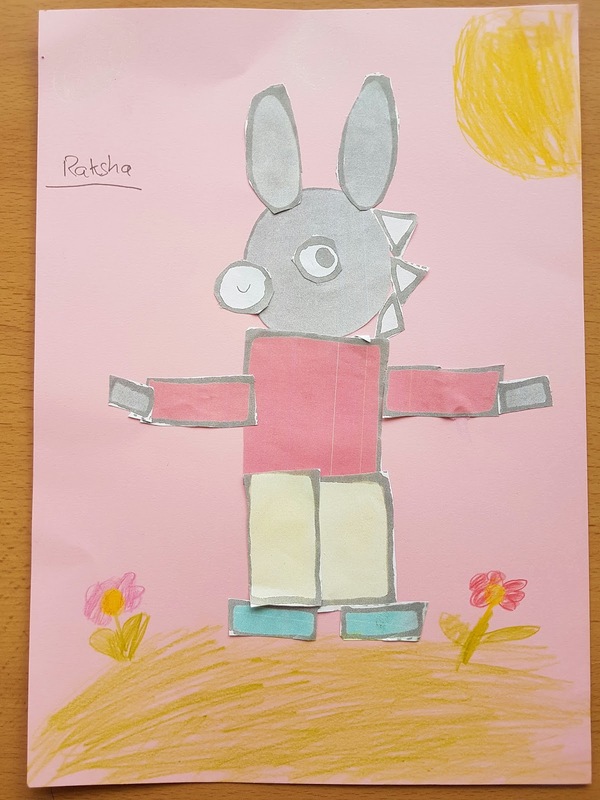 The Freshwater Theatre Company came to perform Goldilocks and the Three Bears and The Three Little Pigs. 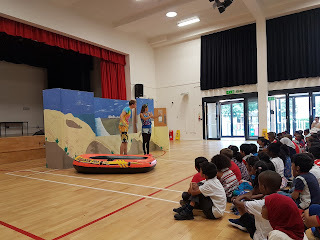 The children had a great time joining in and some of them even took part in the stories! 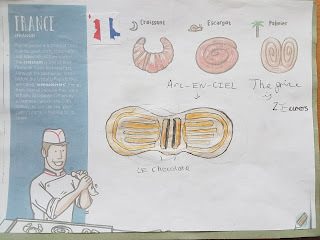 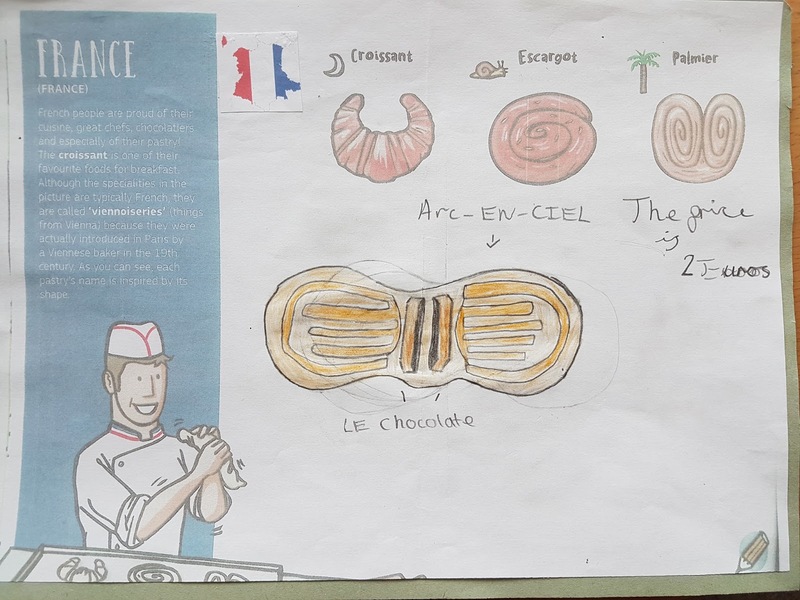 In the meantime, Years 4 to 6 invented their own French Pastry. Then, they "painted with scissors" and made "The fall of Icarus" collage in the style of Henry Matisse. 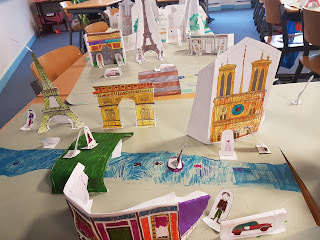 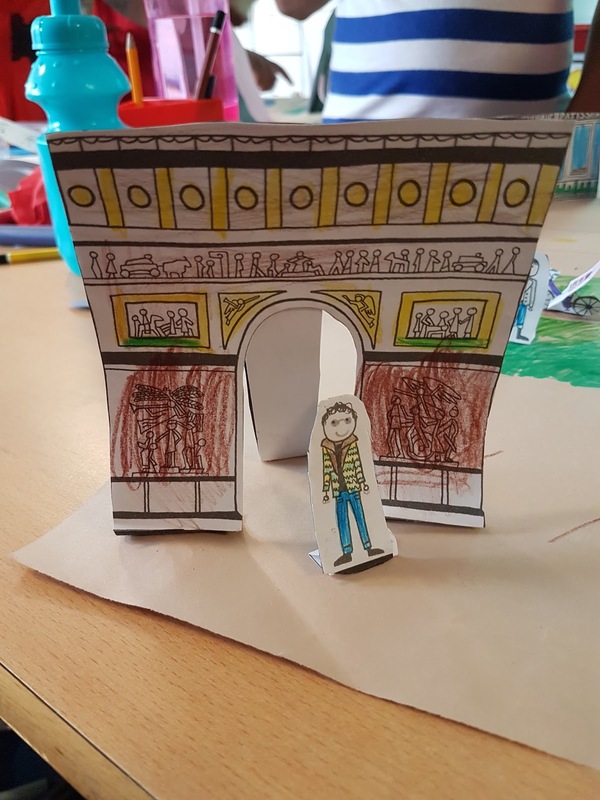 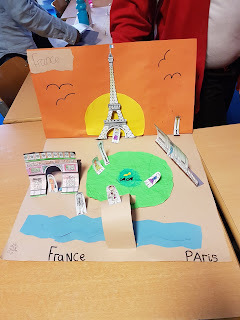 They also learnt some facts about Paris landmarks and created their own Paris cut-out monuments, which they loved doing! 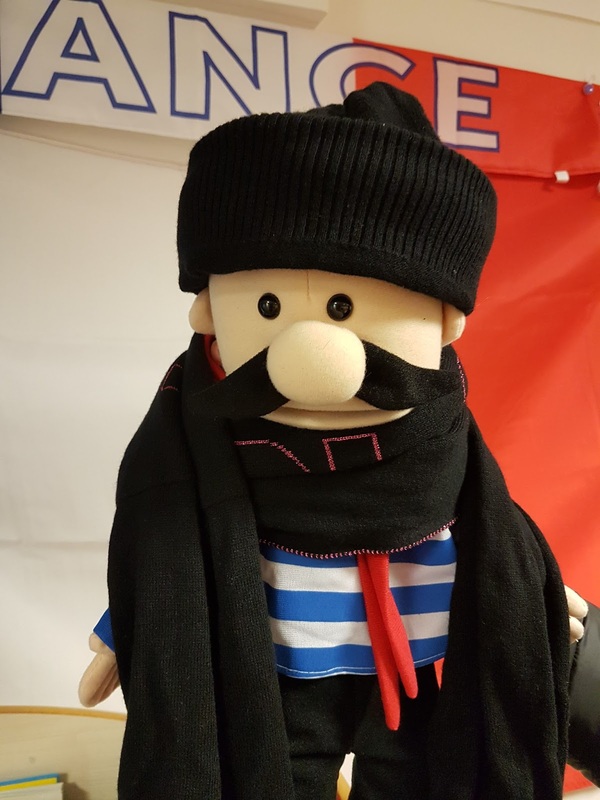 At the end of the day, they watched a French performance by the theatre company Onatti Productions. 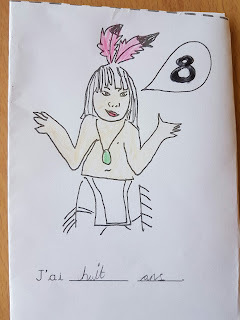 The play was so hilarious! The children really enjoyed watching it and performing some parts of the play. 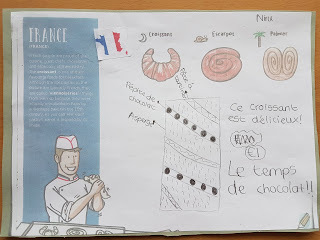 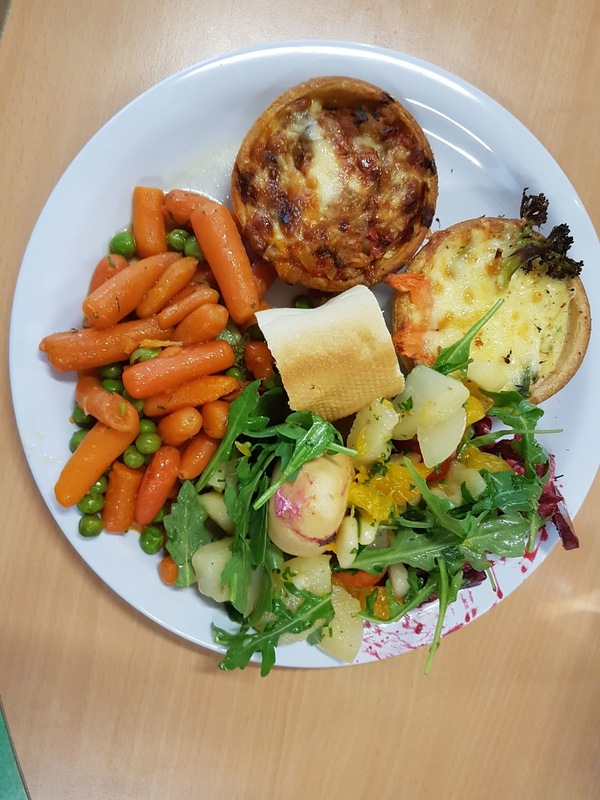 The whole school had croissants in the morning and a French menu was served for lunch. The feedback from the children was really positive and they can't wait for the next year's French Day! 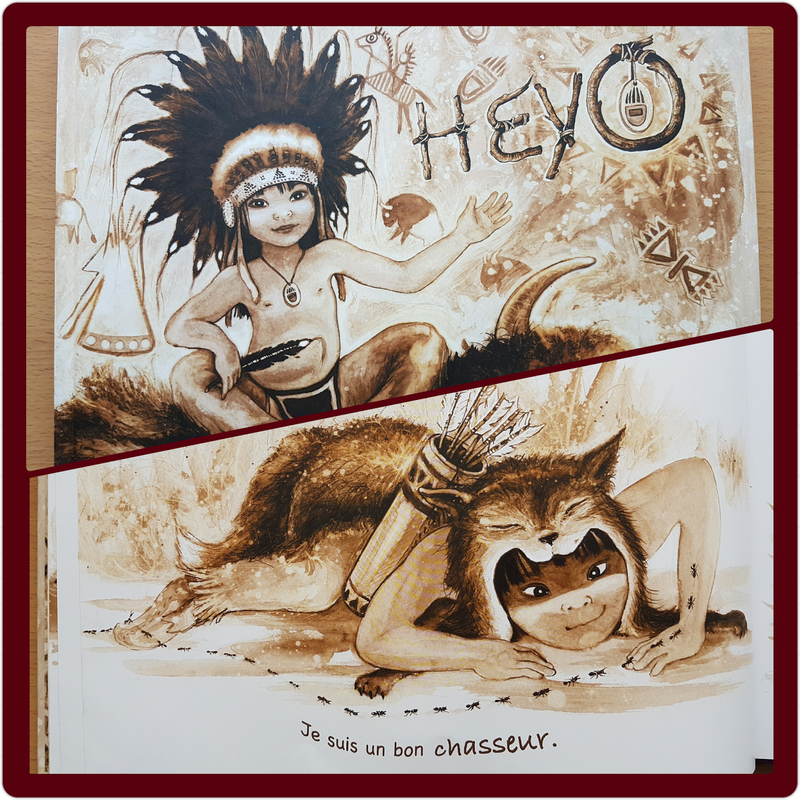 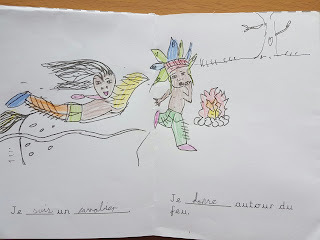 Two years ago I found a beautiful book about a Native American in one of my travels to Lille. 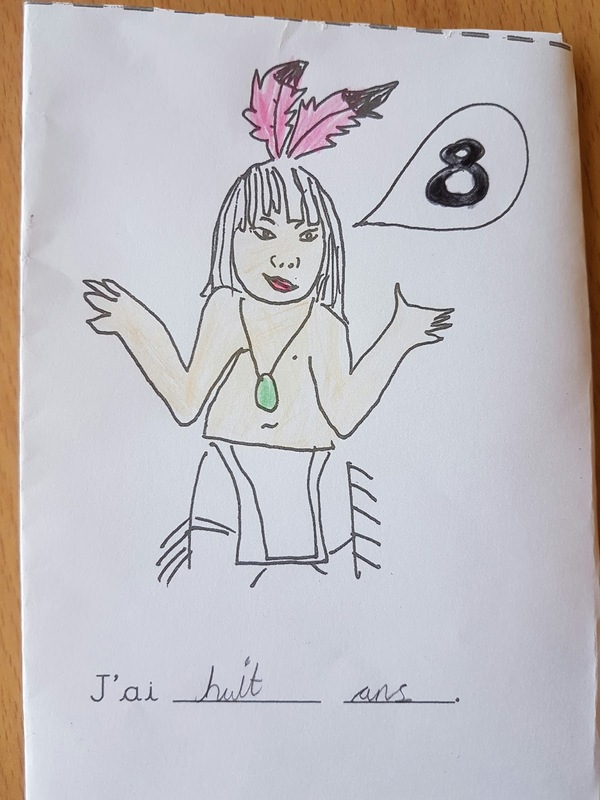 I thought I could use it when Year 3s learn about the Americas and I couldn´t resist to buy it. I hadn´t used the book yet, but last term, I finally planned some activities to teach a unit on Les Amérindiens. We first located Les Amérindiens in the frise historique or time line, located them in the map and learnt about how they used to live. 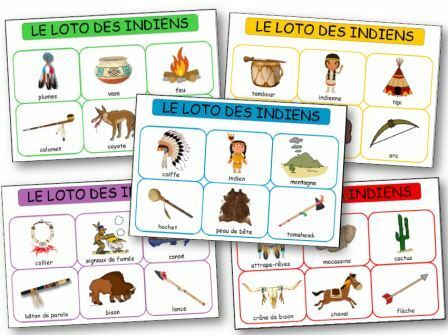 We practised listening to the French words related to their way of life and customs while playing bingo. 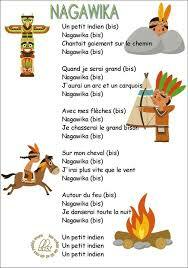 We also learnt an authentic song about un petit indien called Nagawika. 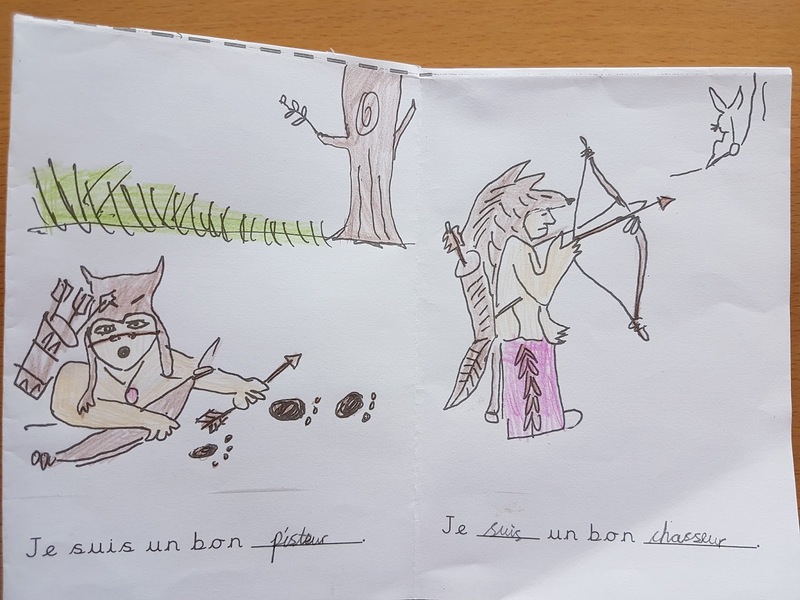 This is a song that French children learn at school! 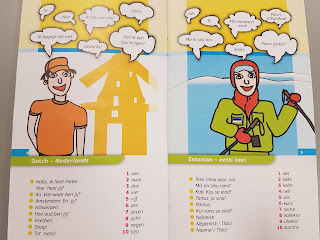 Finally, we read Heyo and learnt some frequency verbs. 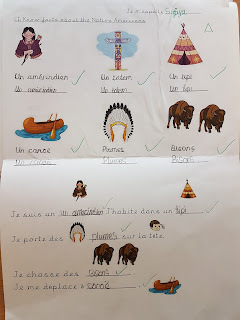 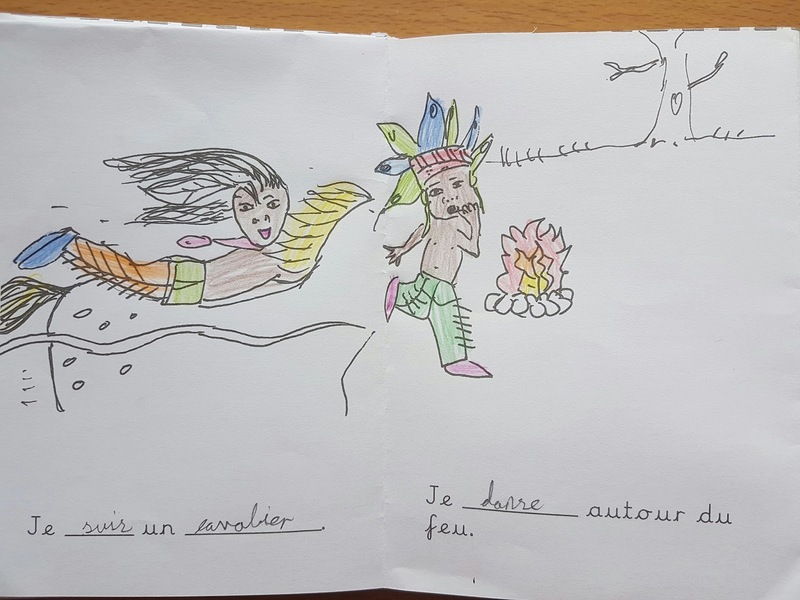 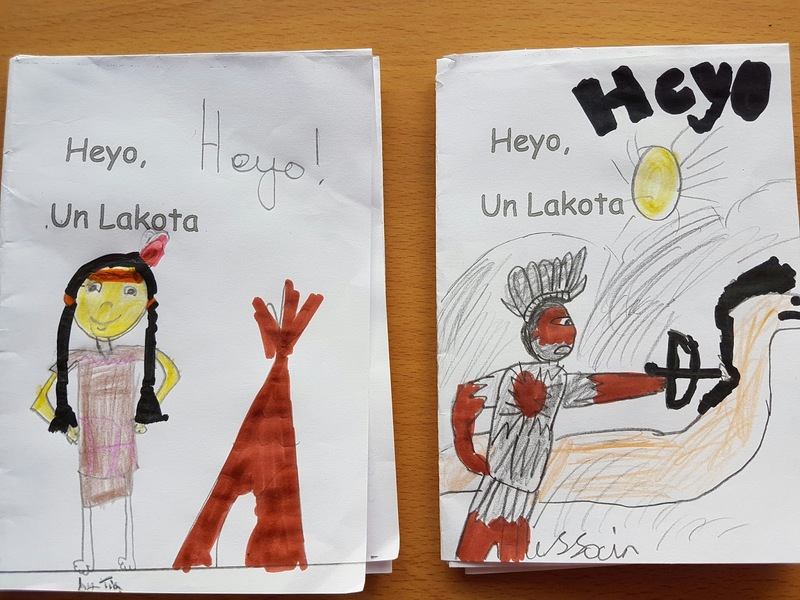 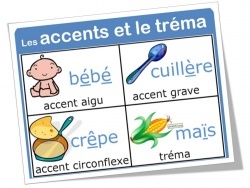 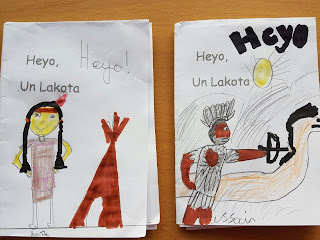 The story has some repetition (Je suis Heyo, un Lakota; je suis un bon chasseur, je suis un bon cavalier; je suis un bon pisteur) so it works really well to introduce the form Je suis + adjective. 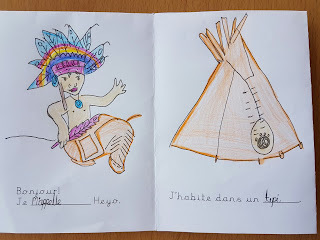 The children created beautiful minibooks about Heyo, we hope you like them! 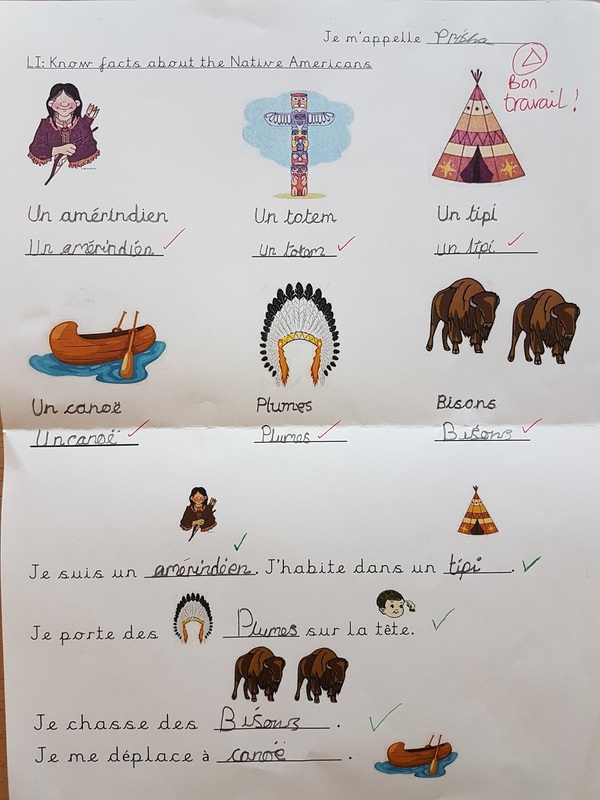 Next year we will also learn the story of the Native American Pocahontas. 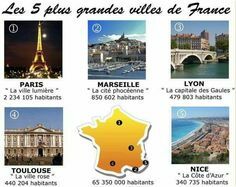 Can you name some cities in France?